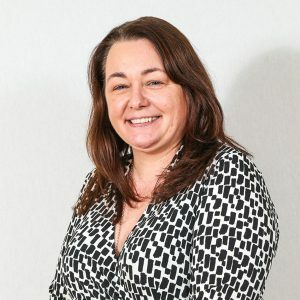 Gerard graduated in 2005 from University College Dublin with 1:1 Honors. His first job was in a busy mixed practice with a small animal bias. 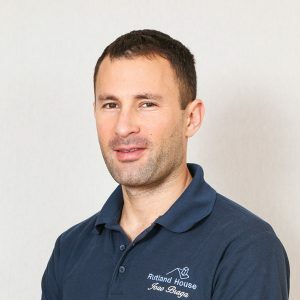 Since 2006 he has worked in small animal practice in the North West. 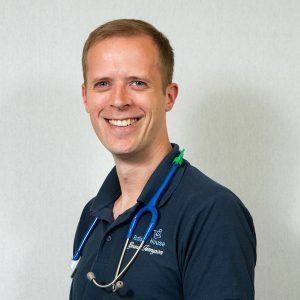 Gerard has been with Rutland House since 2009 and has been the senior vet for first opinion since 2010 and more recently becoming head first opinion vet..
Gerard enjoys all aspects of Veterinary medicine but would have a preference towards internal medicine and diagnostic imaging especially ultrasonography. 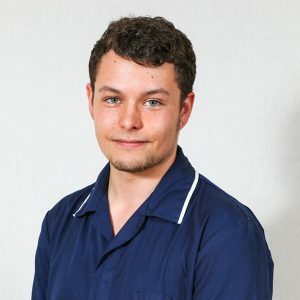 Gerard is currently studying towards a further qualification in diagnostic imaging. 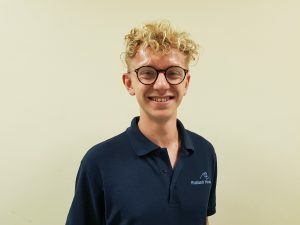 Within the practice Gerard has a close working relationship with Dogs Trust Merseyside and enjoys spending time at the charity centre examining their many dogs. 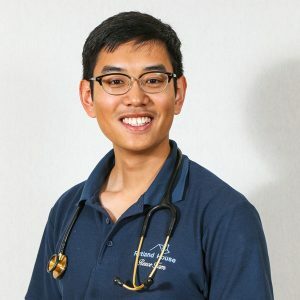 Gerard also has a management role within the practice working closely with his team of vets, the practice manager and other heads of departments to ensure a high standard of service for our clients and patients. Outside of work Gerard likes to spend time with his wife, two young children and 2 active Cocker Spaniels Cara and Maggie. He rescued both of these dogs from animal charities, Maggie coming from the Dogs Trust as a puppy. 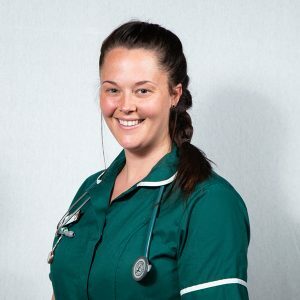 Stephanie graduated from Liverpool University in 2004, and spent 7 years working in mixed and then solely small animal practice in the North East. 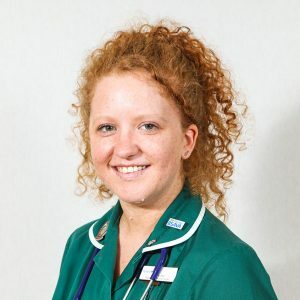 She moved back home to the North West in 2012 and started work at Rutland House Veterinary Hospital, where she is now our first opinion Senior Vet. 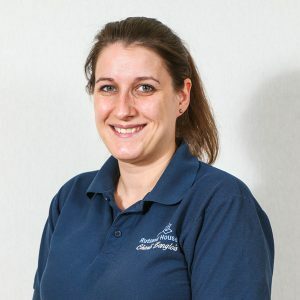 Stephanie enjoys all aspects of small animal practice, and completed her certificate of Advanced Veterinary Practice in 2016. 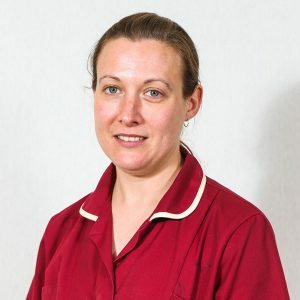 We have CO2 surgical laser at Rutland House, which Stephanie has been trained to use in America. 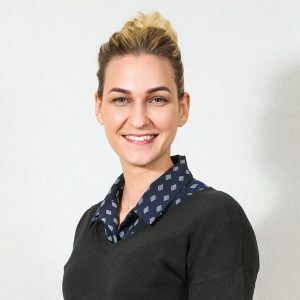 Outside of work Stephanie enjoys scuba diving, horse riding and travelling. 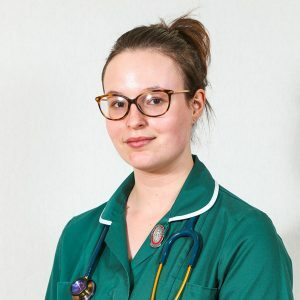 Mary qualified from the Royal Veterinary College, London, in 2006. 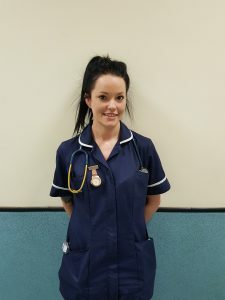 Originally from the North West, she has been a small animal, first opinion, vet in this area since qualification. 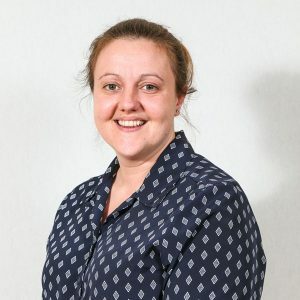 She enjoys the wide variety of clinical cases that present in general practice at the hospital, and branches. 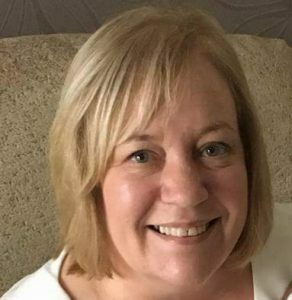 Outside of work, Mary is a member of a couple of amateur dramatic societies, and most recently performed at the St Helens Theatre Royal. 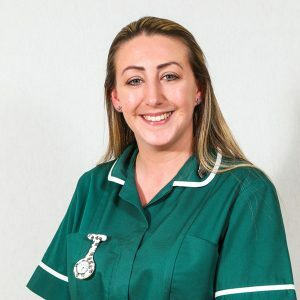 Emma qualified from Liverpool University in 2009 and spent 3 years working in small animal and equine practice in the north west. 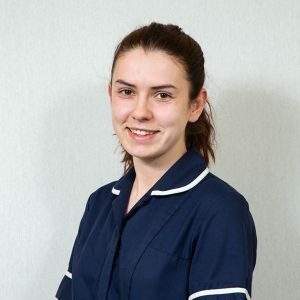 Emma joined Rutland House in 2012 to concentrate on her small animal work which is her main interest. 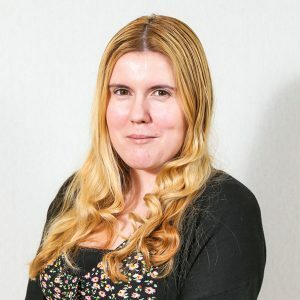 Erica graduated in 2012 from Edinburgh University. 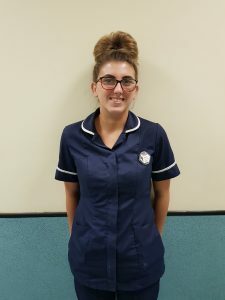 She then went onto complete a rotating internship at Rutland House Referral Hospital. 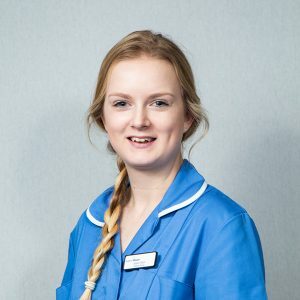 Upon completion of the internship she began working as a first opinion veterinary surgeon at Rutland House. 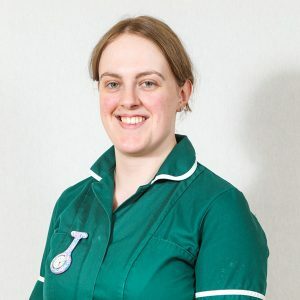 In addition to being a first opinion veterinary surgeon, Erica performs the veterinary work at Cats Protection in St Helens and enjoys visiting the center and caring for their many cats. 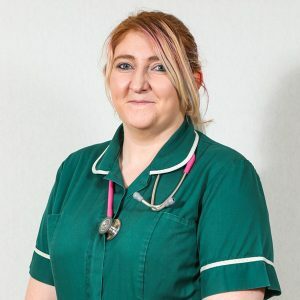 Erica has a special interest in feline internal medicine and is currently undertaking advanced studies in this area. Outside of work Erica enjoys spending time with her husband Phil and their two cats Nemo and Dory. Also she enjoys riding and competing her horse Kiara. 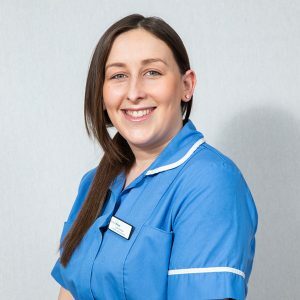 Becky graduated from Liverpool University in 2010. 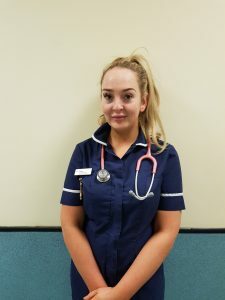 She then stayed at the University to complete an equine internship and worked in the first opinion equine practice where she gained her advanced practitioner certificate. 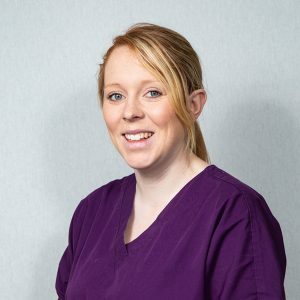 Recently she has made the move over into small animal practice and has a particular interest in soft tissue surgery. 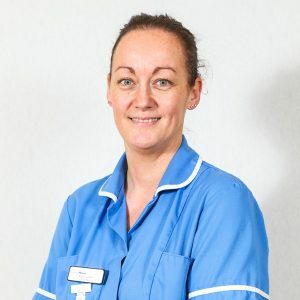 In her free time Becky enjoys walks with her Vizsla called Gus, skiing and playing touch rugby. 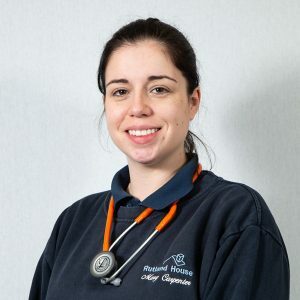 I graduated in 2004 in Portugal where I worked as a Veterinary Surgeon. I moved to England in December 2012, and since then I've been working in different Small Animal 1st Opinion Positions. 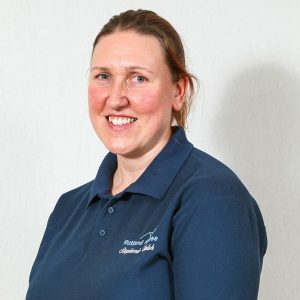 After a year working in a Small Veterinary Hospital PDSA partner, I decided to join Rutland House Vets in February 2015. 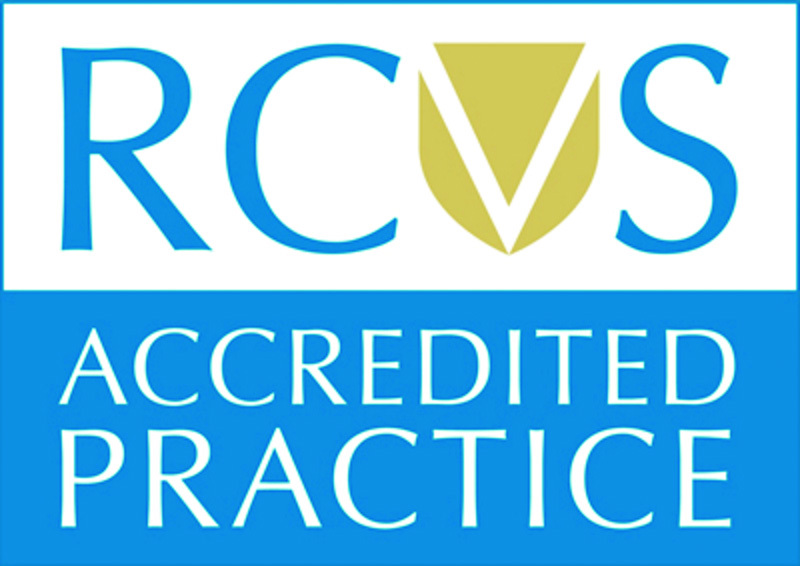 Primary interests are Soft Tissue Surgery but enjoy all aspects of being a Vet. Outside of work I enjoy football, mountain biking and traveling. 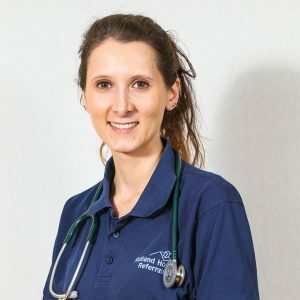 Anna graduated in 2006 in Romania where she worked for a couple of years as a small animal vet. 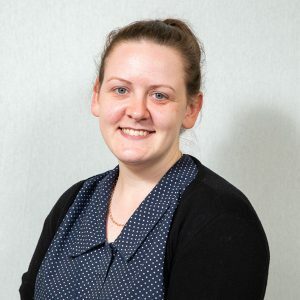 In 2011 she started an internship with Rutland House Referrals and now she enjoys working at our Freckleton Branch. 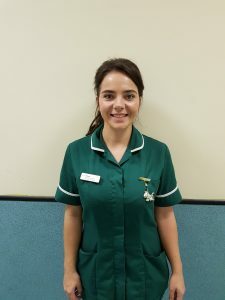 Ana has a particular interest in small animal physiotherapy and rehabilitation. She has a beautiful long hair rescued cat named Blue and likes cooking for her friends. 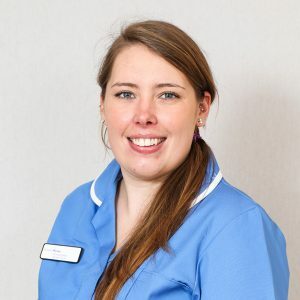 Emma began her career with Rutland House 14 years ago as a Dermatology Nurse moving from there to become Referral Co-ordinator in 2013 and in 2016 Emma became Deputy Practice Manager. 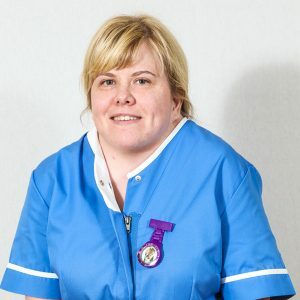 Emma's hobbies include cycling, swimming & horse riding. 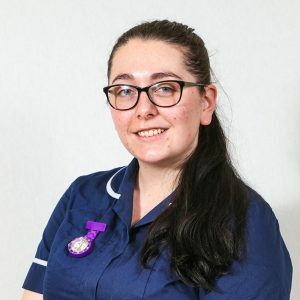 Rachel joined Rutland House earlier in 2018. 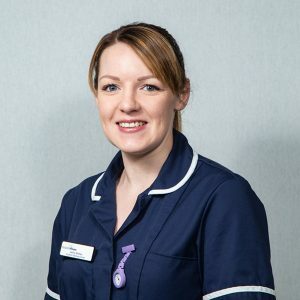 She has lots of experience with emergency and critical care nursing as well as referral nursing. 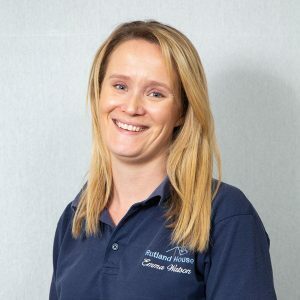 Rachel is a pet health counsellor so enjoy carrying out weight clinics, parasite control clinics and regular health checks. 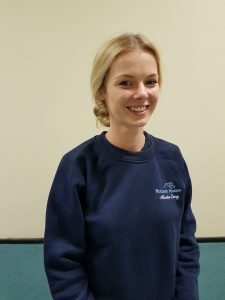 Rachel has two horses which she competes with in dressage. She also has a dog and cat that get on really well. 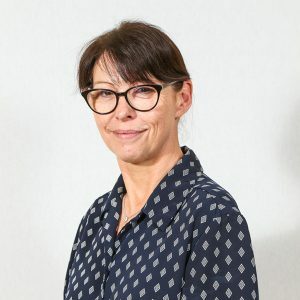 Emma has worked with small animals for over 20 years. 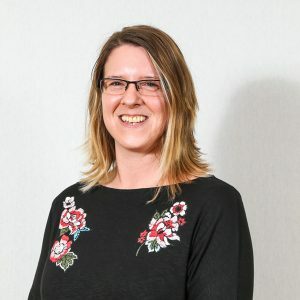 Her passion and a lot of her experience is with cats. Emma has just 2 cats of her own but would love to have more! 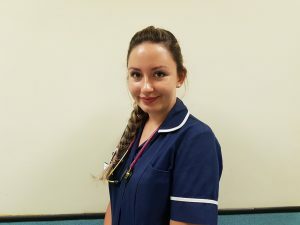 Emma loves being a first opinion nurse and the variety in her job. 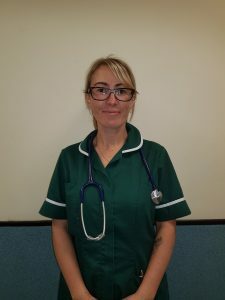 Christine recently joined Rutland House Veterinary Hospital as an Out Of Hours RVN. 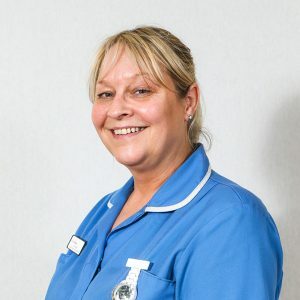 Christine mostly enjoys inpatient care. 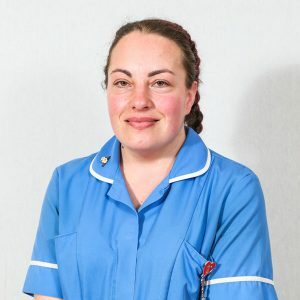 Outside of work most of Christine's time is spent either at the stables looking after and riding her horse, taking her dog on fun walks with lots of play and games, and chilling out with her 2 cats on the sofa. 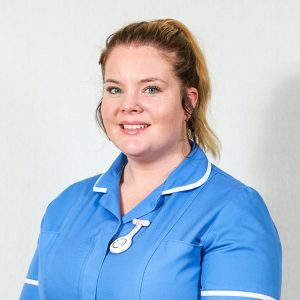 Nicole has been working at Rutland House since 2015.Nicola started as an auxiliary nurse and then began training as a student veterinary nurse which she is now on the final stretch of. 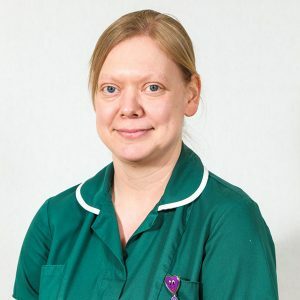 Nicola enjoys all areas of veterinary nursing but particularly anaesthesia and emergency and critical care. 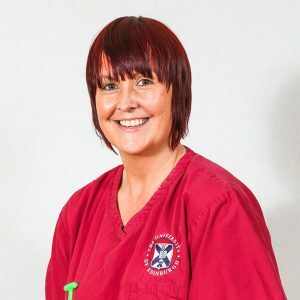 Nicola has a Jack Russell called Ruby that keeps her busy. 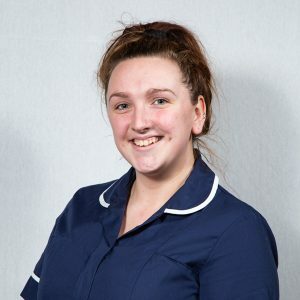 But she also enjoys dance, socialising and travelling to new places. 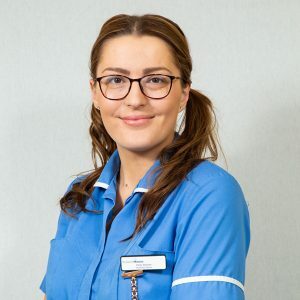 My name is Jacqueline and I have had the pleasure of working on reception at Rutland House for the passed two and a half years also, for the last year I have been the receptionist at Balmoral in Rainford, I love to read; reading at least six or more books a week I am one part of a pet loving family with three dogs' Nikita, Sasha and Biscuit (two Akitas and a shih Tzu) My motto for life is "If I haven't made you laugh or smile today, then I haven't spoken to you"
Claire is the Head Nurse at Freckleton Veterinary Clinic and Aquazone and has been there since the branch opened 7 years ago. 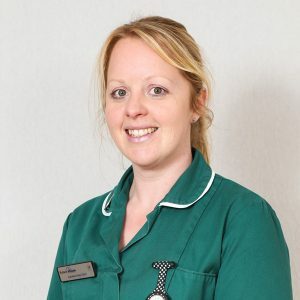 Claire has been a qualified Vet nurse for 13 years and really enjoys her involvement in the rehabilitation of their patients using the Under Water Treadmill at Freckleton Road. Claire has a Jack Russell Terrier cross called Bramble who is 14 and half years old but still thinks she is 2 😊. 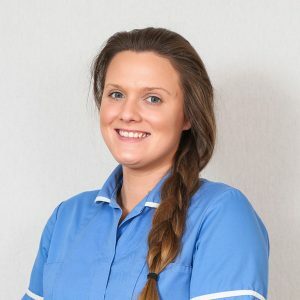 Sarah has worked as an Auxiliary Nurse for Rutland House Veterinary Hospital at our Freckleton Veterinary Clinic & Aquazone for just over three years where she also does dog walking. 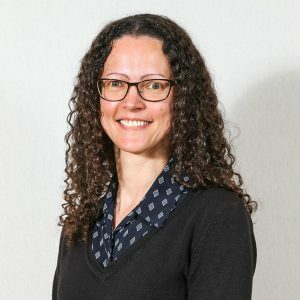 Sarah has also worked for RSPCA and Dogstrust. At home Sarah has a Jack Russell cross and tropical fish. 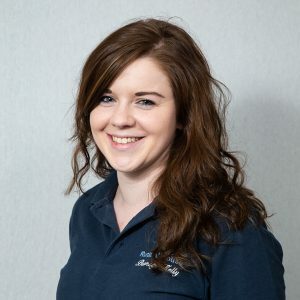 Sarah loves seeing all our clients and their beautiful pets. 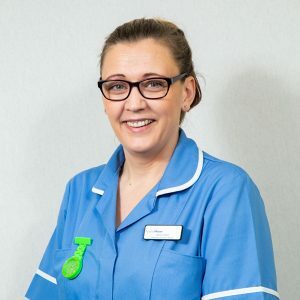 Michelle works at the Freckleton branch as an Auxiliary Nurse and has been with the practice for 3 years enjoying her experience there with the lovely clients and animals. 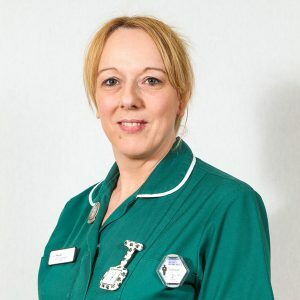 Michelle has been in the animal industry since she was 16 years old with her first job working at the RSCPA Kennels. 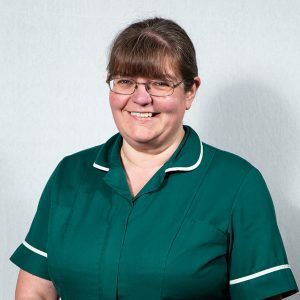 Caroline has worked at our Haydock Veterinary Surgery for 19 years. Caroline is especially interested in rabbits and guinea pig cases as she have multiple of her own. 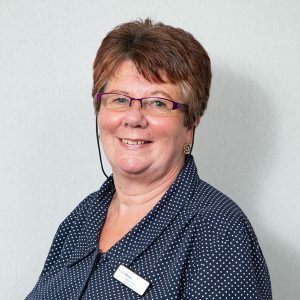 Caroline also has a Border terrier called Eddie who sheI enjoys having 'Ed-ventures' with at various places their favourite being Formby beach. 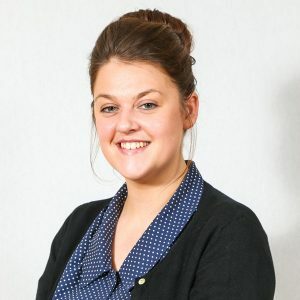 Lauren has worked for Rutland House at our Haydock branch for 10 years now. 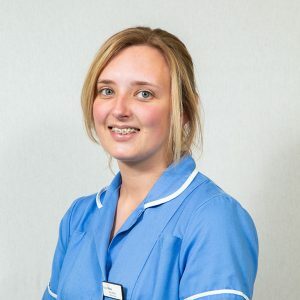 Lauren is a mum to two girls and has a cocker spaniel named Mia who is very active and loves her walks. 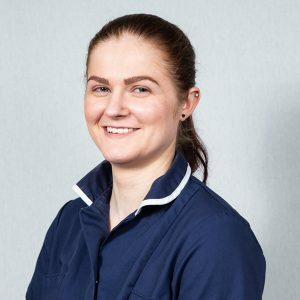 Emma has been an Auxiliary Nurse for Rutland House Veterinary Hospital for 2 years now working at out Haydock branch surgery, and really enjoys her job. At home Emma has 3 cats, the mother was a rescue and she had 4 kittens, 2 of which she has kept. Their names are Ripley from 'Alien', Hooper from 'Jaws' and Polly, because she's tiny and fits in Emma's pocket. 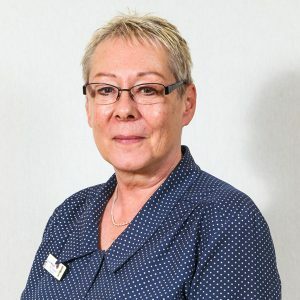 Pamela is one of our longest serving members of the nursing team and joined us in 1995 .She is head nurse of The Village Surgery and qualified as a veterinary Nurse in 2001.She has a keen interest in Theatre and Surgical Nursing and loves how no two days are ever the same. She especially enjoys the interaction with both clients and their pets. At home she has a lively cocker spaniel called Jasper, a beautiful little old Shih-Tzu called Ruby and an 18 year old kitty called Leo. 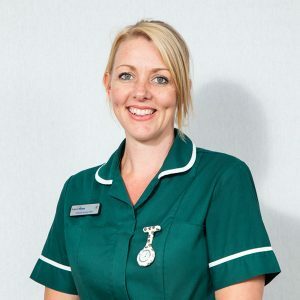 Vicki has been a Veterinary nurse for over 10 years and qualified four years ago. 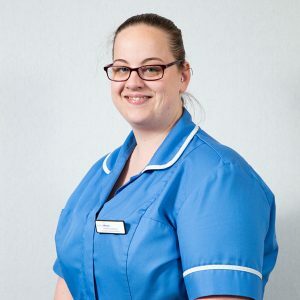 Vicki loves how varied the job can be from day to day from being in theatre to dealing with our clients and their beloved pets. 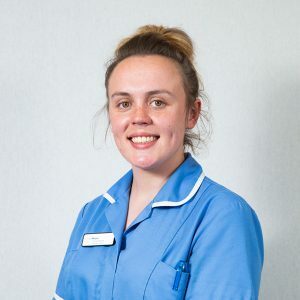 Vicki particularly enjoys nurse clinics and is hoping to utilise her knowledge more in the future within these clinics. Outside of work Vicki has two cats, one with three legs that she rescued 8 years ago from one of our branches and a black one who left home 3 years ago when Vicki's daughter came along but comes back occasionally! 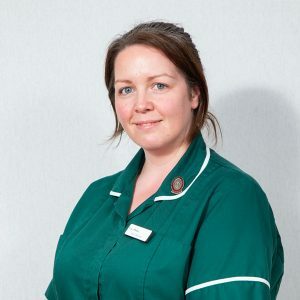 Leah has been an auxiliary nurse since April 2016, throughout that period she has spent time over quite a few of the branches and days at the main hospital but is primarily based at The Village Veterinary Surgery. 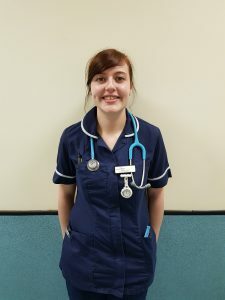 Leah loves the challenges working in a vets brings and being able to learn new things everyday. 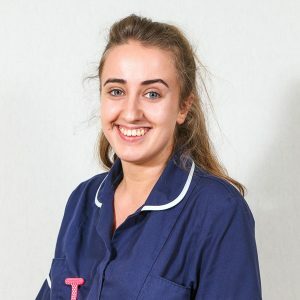 At home Leah has two affectionate and mischievous cats, a male called Toby and a female called Pippa who are inseparable and Leah's most favourite thing to come home to after a long day!